In the first of a mini-series here on Nintendo Life, some of the most respected eShop developers share their experiences of 2013. First up we have Brjann Sigurgeirsson of Image & Form, which brought us the terrific SteamWorld Dig on the 3DS eShop. Below is the studio's 2013, in Sigurgeirsson's own words. It's not like you don't know this, but as you will understand from my ridiculously long and self-indulgent tale below - the Nintendo community is a magical one. Christmas is a season of magic, so I'm happy our friends at Nintendo Life asked me to jot this down. Bear with me and don't skip this read, for it is about you and your amazing fellows, how you have changed the lives of a handful people in Sweden who made a game called SteamWorld Dig, and how this all came to pass. Ready? Here we go. I run - an exaggeration, as you shall see - a studio called Image & Form, and we're from a rainy, windy place called Gothenburg. 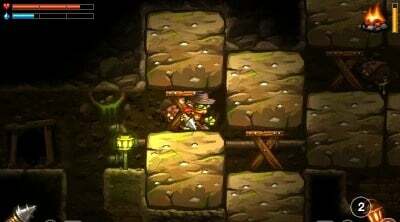 When we started out on SteamWorld Dig, personally I was a bit hesitant about the whole project. There were a few reasons for this, and some of them were somewhat valid. For one, we had applied for grants for the development of two different games: SteamWorld Dig for the 3DS, and Spin Demon for iOS. We applied to The Nordic Game Program, and the EU Media Program, and had just received the verdict. Spin Demon got accepted by both institutions, and SteamWorld Dig got rejected by both. Spin Demon was the brainchild of art director Tobias Nilsson and myself, whereas SteamWorld Dig was conceived by the Håkansson brothers (designer + graphic artist). We had clearly won 2-0 (and actually celebrated with a beer). 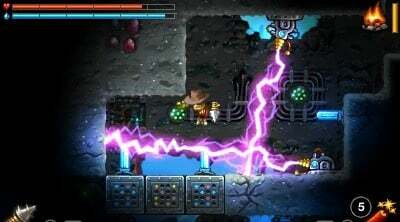 SteamWorld Dig was either destined for the long list of nice Image & Form ideas that would never be realized, or at least to mature in a cask(et) for quite some time. Second, this was October 2012 - in other words, unfathomable eons ago in game-industry time, and the 3DS hadn't proved itself yet. There was no Animal Crossing locomotive, and the jury was still out on whether the 3DS was a hit, doing OK or Nintendo's biggest failure to date. Third, at that point we WERE a mobile developer. We had released fabulous Anthill a measly 12 months earlier, and had just completed a successful work-for-hire iOS game. We KNEW how to make great mobile games - what's all this talk about the 3DS? And the eShop? A tiny me-too boutique compared to the massive outlet of the App Store! We HAD made SteamWorld Tower Defense for the appalling DSiWare Store, and that game somehow managed to pay for itself despite a minimum of PR. The ocean WAS very blue on the 3DS. And so we got started. We want you to think that we had it all planned out beautifully from the beginning, but that's simply not true - we made it up as we went along. At one point, in February-March 2013 (by which time Olle had actually promised we would already be finished with the game), we had to stop. The game just wasn't fun. Testers that we brought in asked what they were supposed to do when they were actually doing what they were supposed to - clearly not a good sign. So we stopped developing. No one drew anything or wrote a line of code for a whole week. Let's pause there for a minute. Pretend you're the financier who listened to my rantings about "GOTY 2013! ", "A first of its kind game!" and "Universal love and praise awaits!" during that period, and you got talked into lending us the equivalent of the GNP of a small African country in order to wrap up the game. Let's say you decided to go see for yourself before making the deposit, and sneaked into our office to find everyone in despair over this B*ST*RD of a game that refused to be fun, and that no one in the universe would ever like. In your right mind you would have terminated the project there and then, despite the bearded developers begging and crying at your feet. Luckily, you didn't show up at the office that week, Mr Bank Roller. It's time we thank you for that. The next week, the redesigning of SteamWorld Dig began. And slowly, it became great. In mid-March, we sent out the only SteamWorld Dig press release that would appear prior to the release phase. We got a few surprised comments about how good whatever-it-was looked, and then we disappeared into the Zone Cave. I sat bragging about our fabulous game, but had nothing new to show for it for a long time - all graphic artists were up to theirs necks in work, and we didn't have time to make new gameplay videos. I had no new material to show, and we decided to keep the lid on. We were secretly being very clever, although at least I never quite understood what was so clever about it. Again in hindsight, I realize that everyone else was worried that I would promise too much if I talked too much to the press. I had already told Nintendo that it would be finished in February (and then in March, then in April, then in May), so... "better not give the Icelander anything, he'll promise the world to anyone listening." And then, at the end of June, we were done - and everybody promptly went on a traditional month-long Swedish vacation. I had hoped that we would be done by the end of May at the very latest, so that the game could be released by the end of June and we could spend our vacations counting downloads. Nintendo told us that the earliest release date we could get was July 25, which wasn't very useful to us: we would all be on vacation, and if something went terribly wrong, we wouldn't be able to rectify it. So we decided on August 8 for EU, Australia and America. I spent the whole month of July in a state of "not being able to sleep, because I've got a big day tomorrow". The game was there, we felt that it was good - but didn't know just how good. My team mates were asking themselves whether people were going to like it. Personally it was more a notion of "will people even know it exists?" It was my job to make sure that the world knew, but here I was with a good game and absolutely no idea how to market it. Sunny Swedish July has never been so terrible, and I felt like such a fraud - an advanced loser. If you cringe when watching The Office or similar displays of patheticness, skip the next two paragraphs. I sneaked into the office a few days during vacation to see if I could add to our press list and somehow up our Twitter following of 70 - mostly friends - and desperately tried to learn how Twitter actually worked. How would I find the Nintendo community, so that I could tell them about our new, brilliant (yeah, right) game? I typed "Nintendo" in Twitter's search window and tried to isolate as many influential people as possible. I had no idea at what follower level anyone could be considered as influential, so I started following everyone that mentioned Nintendo in their blurbs. I made laughable rookie errors. I spent hours tweeting myself. I spammed good, honest people with identical messages until a friendly (yes, really) Dutch guy pointed out that I was being a complete "a-hole", and that I was annoying the hell out of everybody. Later that evening Twitter told me the same thing rather bluntly via e-mail, and if I didn't stop they would shut down the account. And the follower count had gone up to a whopping 75. I was literally at a loss and very close to tears. Then, at the end of July, everyone came back to work and the moment of reckoning was close - I would have to reveal to all that I was completely useless, and that we wouldn't sell very many copies of the game. For a full week I had been dreaming vividly about this moment, how their shoulders would slowly drop along with the corners of their mouths, and they would all resign. Not in anger, but in utter disbelief and sadness. 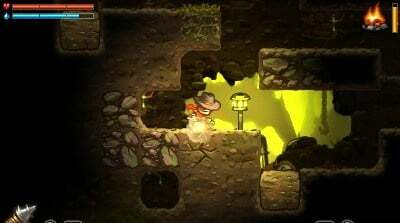 Instead, like in some not-very-believable movie, there was divine intervention - or, as I stated initially, magic - in the form of an e-mail from Ed Valiente of Nintendo of Europe, stating that he and many others at NoE had played SteamWorld Dig throughout the summer, and that they loved it to bits. Could we somehow find it in our hearts to move the release date for Europe and Australia back one day to August 7, so that the release could coincide with the Nintendo Direct? Could we scramble together about a minute of footage that NoE CEO Shibata could narrate himself? And could we please try to keep quiet about it? Since I had arranged for this to happen, I was everybody's hero. And I kept it that way - everyone deserves a solid-rock, charismatic, destined-for-greatness leader; if they just kept close, sparks or crumbs of my PR genius would inevitably spill onto them. While Tobias furiously put together a tasty minute of video, the rest of us sat down to come up with additional ideas. We had a short press list (which I probably presented as "lean" or "exclusive"), and we would send out a press release immediately in order to book review codes. We also decided on a cheesy guerrilla tactic: we'd put together a fake bribe letter, print fake robotic money and fake train tickets to Tumbleton, and send out these packages to "key industry players" (and I made it sound like I had isolated the most important ones while everyone else had been on vacation). The idea was of course that these key players would love the humour and rascalness of this brazen little Swedish dev, and immediately make a big splash about it through all of their channels. We ended up sending out to Destructoid, Game Trailers, Kotaku, GameSpot, IGN, Nintendo Life (yes! ), Tim Schafer of Double Fine as well as Notch (Markus Persson) of Mojang. Since Notch had a lot of personal clout, was "in the mining industry" and within striking distance (in Stockholm), we decided to go all in with him. We bought a 3DS XL, preinstalled SteamWorld Dig onto it, got a nice box and crammed fake money and the bribe letter in there as well - giggling all the way back from the post office, imagining all the lovely stuff he would tweet about it. Who knew, perhaps he'd start a YouTube channel dedicated to SteamWorld Dig since we'd been so nice with the XL and all? And then another magical thing happened. To get hold of Tim Schafer's e-mail address, I asked around in a forum of Swedish game-industry CEOs. As a side result, Jens Andersson, the maker of Colors! 3D, sent me a private e-mail saying how great it was to see other Swedish devs doing stuff for the 3DS. Would I please accept his press list? It was long. Looooong. Thank you Jens. Everyone still reading, please buy Colors! 3D and you will go to heaven. Release date drew nearer, and thanks to Jens' press list we actually managed to send out quite a few review codes. August 6, the day before the launch in Europe and Australia, we released the official game trailer on YouTube. Suddenly that Nintendo magic worked again: a Dutch guy called Daan Koopman (@Nintendaan on Twitter) got in touch. He had received a code the day before and liked the game very much. He decided to work through the night the day before our launch to maximise our exposure: a very long interview, two long gameplay videos, and a great review to boot. To give you an idea of my continued rookieness, at the end of all this I asked how I could repay him - not as a bribe for a hopefully good review, but why would anyone go to such lengths to make our game hit? He was quiet for a moment, and then said simply: "Make more good games." And the next day the Nintendo magic was at work again: Shibata-san narrated our minute of footage, and ended with the words "SteamWorld Dig will be available in the eShop at the end of this presentation." A few nervous moments until it actually was up and available on the eShop, and then the review embargo lifted. Terrified, I scrolled to the end of the first review - from Gamesblip.com in Australia - and saw 9 blips out of 10. And the next review was the same. And the next after that. I wanted to gather everyone who claims themselves to be a Nintendo fan in a big room, and make them small so I could hug them all at the same time... and I was happy. But our Nintendo adventure had a bit more magic in store. At a vital point our bribe letter to Destructoid surfaced, and created some pretty humourous turmoil - had a Swedish 3DS game dev actually tried to bribe a review site? Really?? Oh, they're only joking... those rascals! Haha, let's all buy their game some more! And then one day in November, another loose end tied itself in a beautiful knot. Notch, whom we had sent a pristine 3DS XL, had been utterly silent. At one point I couldn't resist, so I e-mailed the biz-dev director at Mojang to help me find out if Notch had received the package. Yes, there was indeed an unopened package sitting in his office, but "Notch is a special guy. I would tear open a package any day of the week myself, but he's busy making some new ore for Minecraft or something, and can't be disturbed." Ah, the itch to jump on the train to Stockholm, barge into his office and rip open that package and hand him the XL! But it all passed in silence - an opportunity lost. So you enjoyed SteamWorld Dig? You're not alone, and you have very good taste. The genius behind Minecraft says you do. Here somewhere ends our story of Nintendo magic, although it continues every day. For example, we announced that we're getting our Miiverse community up and running on Monday before Christmas, and it seems that everyone in the Nintendo world has read that tweet. SteamWorld Dig made it to #1 in the eShops of Europe, Australia and America - and to #6 in Japan. And just and like Olle predicted, GOTY nominations and awards (yes!) are dropping in every day now. If everyone who's still on the fence about SteamWorld Dig actually buys it, the magic will be even more magical in 2014. Our thanks to Brjann Sigurgeirsson for this article. If you want to know even more be sure to check out our video interview from the Eurogamer Expo. I loved this game! Can't wait for sequel! I have been gaming since needing to use a tape drive.. yeah, you hear me right, a TAPE DRIVE!! Then I upgraded to the monstrous TRS-80!! My point is, SteamWorld Dig is in my TOP 10 games of ALL TIME!!! Yep, it's THAT f'ing good!!! I loved every minute of it and have replayed it numerous times.. got it down to around 2 hours but I can't do a perfect run as of yet.. everything about this game is so well crafted. If you don't own it, you are missing out on one of the best action/exploration games EVER!! I'm soooo glade I was able to experience this video game!! Thanks to everyone who poured their heart and soul into this masterpiece! It certainly shows!!! Loved this game, can't wait to see what they have in store with their next release. After reading this article, I am resolute on buying this game. Please continue to support Nintendo and its fans guys- if you bring us the goods, we will make you rich, therefore you no longer relying on bribery to further promote your game. However, if you send me a 3DSXL pre-loaded with SteamWorld Dig, I will not hold it against you. awesome, loved the game. please make more, expansions or new games. next time make it longer and add a wee bit more backstory. I want a Wii U version! That was one of the coolest things I've ever read. I'm buying Steamworld Dig this week. I liked it (Must have done because I played it start to finish without playing anything else inbetween). Think I would prefer it at 200% speed though. Don't like waiting about. Don't think I really improved either there again reviewers generally seem to not like those types of games and give them 6/10. Not sure if the Steam version has a better framerate or not. Neat. I just downloaded the game on my 3DS yesterday but haven't played it yet. I look up on NintendoAge and there's a long article posted about it. I was somewhat interested in this game when I first heard of it, and I hear such praise thrown its way. After I slog through my backlog, I'll definitely pick this up. Great read too! Glad to see a dev that's down to earth and, dare I say, human. Love this game. One of my favorite eShop games from 2013. I've played through it five or six times already. Looking forward to whatever Image & Form puts out next. I'm very happy for you guys. I bought the game rifht away and I couldn't be happier. Lovely graphics, perfect controls, nice music... I' ve told anyone willing to listen (and not so willing) that yours is a hell of a game, worth every penny. And I'm really happy it has become a hit for you. I hope you are able to develop this kind of high-quality game each time you give it a shot because I want to reward your great hard work with my money. I'm glad it turned out so good for you. I&F are rock stars! Great platformer bought it day one and pumped it's tires in any comments section and forum I appropriately could. Aw, we'd like to hug you back as well. being #1 in so many regions on the eshop is a big thing when you aren't Nintendo or Capcom etc. Maybe Nintendo should give a free ride and release physical copies of this game so it can finally get the attention it deserves. It's one of the only games in recent memory that made me want to play it straight after I had finished. I did too, three times in a row. I want that elusive all gold star ranking but cannot seem to get past a silver for time. This game is amazing for speedrunning as well. Now I wait patiently for the sequel. I REALLY want that sequel. Wow, what a long & epic article! Awesome story, I love this sort of thing. Lets you get a little bit of a vicarious experience of how a game development went on a roller coaster ride behind closed doors. Thanks @imageform! Hopefully NL interviewed Shin'en & Two Tribes too. Without a doubt, Steamworld: Dig is one of the best eShop titles available on the service. I've bought several games there and this one is the one that I keep going back to over and over again. It's just so much fun to play with. Now I know that some people have complained that the story is weak. But honestly, you barely noticed because you're too deep into the gameplay to even care about the plot. All I knew is that I needed to dig, dig and dig to find stuff in some Western-style underworld. And if that sounds tedious, well it wasn't. Somehow, someway, the developers of this game made all that work incredibly addictive and fun. Now that's a word you usually don't find in many videogames these days: FUN. What you do find in many modern games, are games full of cinematic cutscenes and even whole sections where you're just sitting holding the controller instead of playing. 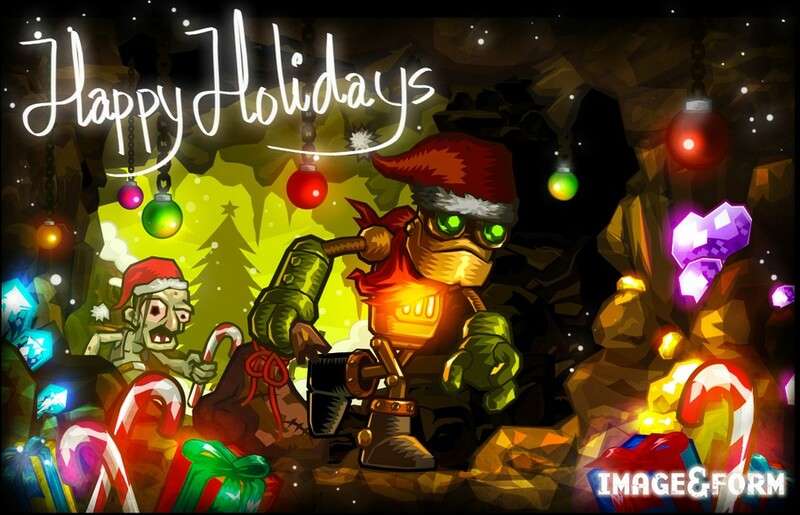 Well fortunately, that doesn't happen in Steamworld: Dig. Because you're always playing. So I really enjoyed reading the behind the scenes article on this game. And how it all came together. Congrats to all that made it happen! Keep up the great work guys. I will need help filling out the 32GB SD Card I plan on buying. I've spent tons of hours on this game and beat it multiple times, but it never gets old.